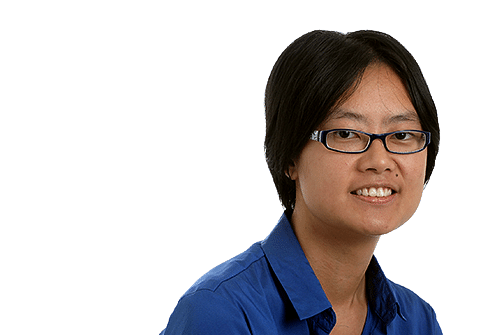 From favourite bus routes to bee hoon stalls to engaging with Forum letters and National Art Gallery artworks, poems are shared daily on a Facebook group where over 4,500 people try to write a poem a day for a month. Almost every night this month, the minutes before midnight have seen me feverishly typing away, to fulfil an assignment received just hours before. These late-night writing sprints are not for work, but for a luxury I’m trying to afford. For over 4,500 people on a certain Facebook group, April is a month for poetry. T. S. Eliot’s cruelest month seems the natural choice for SingPoWriMo, or Singapore Poetry Writing Month (SPWM, to abbreviate it even further). The brief is deceptively simple: Write a poem each day for thirty days. But the month truly comes alive thanks to daily prompts by poet-moderators, and how the SPWM community rises to the occasion – not just penning their own pieces, but commenting on others’ works with encouragement or helpful criticism. Now in its fourth year, SingPoWriMo is organised by a group of poetry enthusiasts who helped start literary charity Sing Lit Station. Prompts range from the personal (Day 1: Write a poem which asks all the questions to which you urgently need answers – which resulted in, among others, Ang Shuang’s beautiful ‘How do I write this poem?’ to the potentially political (Day 18: Find a forum letter written to a newspaper and write a poetic response) to the fantastical (Day 21: You wake up to find yourself in a Singaporean movie – with an optional bonus being that the movie is Kirsten Tan’s award-winning Pop Aye). My approach, which is not recommended, has been to finish each poem on the night a prompt lands (so that I can be a productive, non-distracted employee during the working day, of course). But with participants having 24 hours to write each poem (the deadlines are unenforced, in any case), one’s Facebook feed is graced with fresh literary nuggets throughout the day: from lunch-hour sonnets by working adults to evening epics by university students. At least half the fun comes from prompts and poems which reflect the local nature of SPWM. After last year’s Day 24 MRT prompt, which produced poems for every single MRT and LRT station, this year’s Day 17 prompt on favourite bus routes resulted in musings on urban development and personal history (Paul Jerusalem’s ‘The Magic School Bus’), memories of teenage love (Jerome Lim’s ‘the bus to dunearn road’) and even a quietly-observed near-future sci-fi piece, Joses Ho’s ‘Service 189’. But perhaps the most exciting aspect of SPWM is how current and responsive it can be. Day 15’s prompt to write a poem about markets, for instance, included the optional challenge of visiting, photographing and writing about the soon-to-be-gone Sungei Road thieves’ market. Many duly did so, resulting in poems such as Lune Loh’s ‘Larut Road’. Not all current affairs poems are formally prompted. News of the upcoming Junior College mergers on April 20 sparked several works in response – not least on Day 24, when participants were asked to write about a place in Singapore that no longer exists. One satirical prose piece on the topic (SPWM doesn’t police the definition of poetry) went viral, notching up over 1,000 likes and nearly 500 shares in four days. That Day 24 prompt inspired odes to other vanished places islandwide, of course, from the National Library and former shopping malls to old town centres and a Toa Payoh beehoon stall – all collected on this geotagged map. 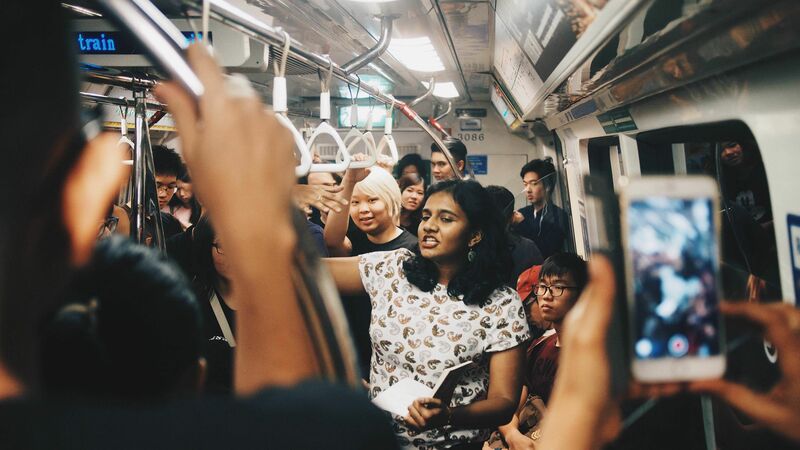 The adventurous can wade further into the undergrowth of SPWM’s ecosystem, from the thicket of hashtags and optional bonus challenges to spontaneously-arising chains in which poets write responses to other poets’ work (including one with the hashtag #LKYLTA, which mashes up a founding father’s literary output with the public transport system). The challenge winds up tomorrow night (30 April) as participants wind down at a closing party hosted by Sing Lit Station, featuring prizes, poetry readings and a chance to meet the other people behind the poems. But the end of April isn’t the end of everything SPWM2017-related. As in past years, a print anthology of the month’s best pieces – lovingly hand-picked by three poet-moderators – is in the works. Sadly for those of us who hanker for instant gratification, the crowdfunding campaign usually only surfaces a few months later. In the meantime, you can follow Sing Lit Station for updates, and pick up one of the previous years’ anthologies for a taste of what local poetry in the Facebook age can look like. Maybe we’ll see you next April, too?